Imagine being born without one or more of your limbs. Even some of the smallest tasks in life would be much more challenging than they are for those of us who may take for granted having two arms and two legs. Somehow, though, you’d get through it, as many people do who’ve either experienced a serious injury or just came into the world that way. Just like the cats we’re profiling in this week’s Cat Friday do, too. The only real difference is that these kitties don’t understand what life would be like for them if all of their limbs were intact. And though by most standards they’re considered special needs animals, these lucky cats are living a full life, doing all the same things normal cats can do for the most part, and are openly and deeply loved by their families who’ve chosen to look past their differences. Anakin, an almost one-year-old kitty who lives in Pensacola, Fla., was born without a pelvis or hind legs, but that doesn’t stop him from playing, climbing his cat tower or doing anything else a four-legged kitty would do. He gets around on just his two front legs by positioning them a little farther back under his body and also uses his tail for balance. You really have to see how this little guy gets around because it’s truly amazing! Anakin (yes, he’s named after Anakin Skywalker) was discovered hanging around with a group of feral cats until one day he was finally captured by his family, who were very concerned about his ability to get around, and of course, defend himself. They were surprised he survived at all, and that his mother took care of him, as sometimes mother cats will abandon kittens that aren’t normal. 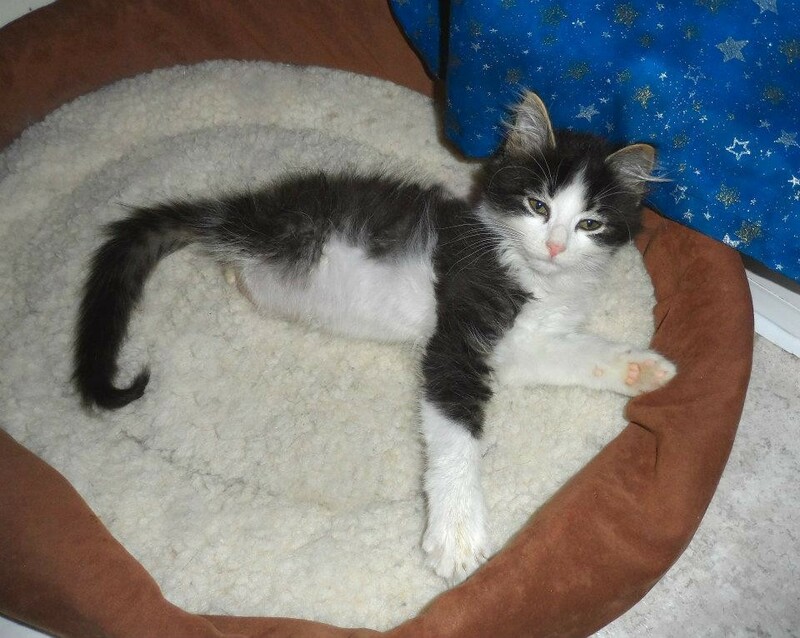 Recently, Anakin and his family welcomed another kitty into their home who was born with some similar birth defects. 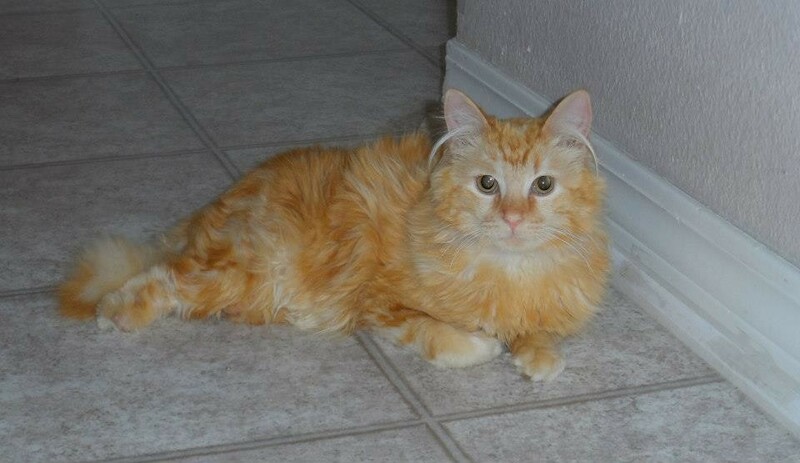 Mika (pronounced Mi-cah) was pulled from a shelter in Texas (with his deformity he had a much lower chance of getting adopted), and Anakin’s family set up a chain of transports to get the little orange kitty from Texas to Florida last month. 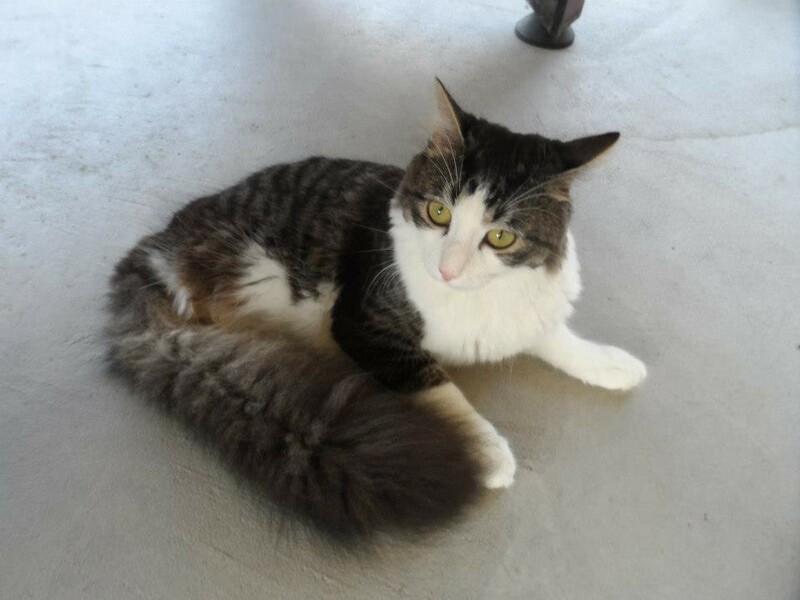 Mika was born without one of his back legs, only has half of the other back leg and only half of a tail. He’s already become acclimated to his new home, after a little bit of hissing at first on Anakin's end. Now, Anakin and his new “brother from another mother,” Mika, are best friends, their owner reports on Anakin’s Facebook page. The tale of another biped cat went viral amongst the cat interwebs last month. 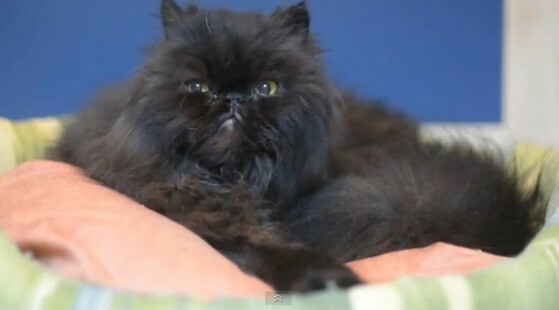 Caffrey, a 13-year-old Persian cat, had his left hind leg amputated when he was hit by a car 10 years ago. Just recently, though, Caffrey’s veterinarian noticed a malignant tumor on the cat’s left front leg. Though several other veterinarians recommended that Caffrey be euthanized because he wouldn’t be able to live a normal life with only two legs on one side of his body — the only other option was to amputate the leg with the tumor — the cat’s owner staunchly refused and insisted that the veterinarian amputate the leg. Today, even though both of his remaining legs are on the right side of his body, Caffrey seems to have fully adjusted to his new biped life, and gets around astonishingly well!